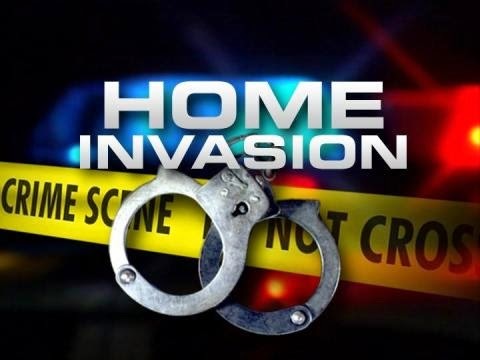 On Tuesday August 26, 2014 at approximately 12:30 a.m, Absecon Police Department was dispatched to Oyster Bay Road for a home invasion robbery in progress. The 9-1-1 caller reported that two black males had forced their way into their Oyster Bay Road apartment after the victim opened the front door, in response to the doorbell. Once inside, a male described as being a heavy set, black male wearing a tan shirt assaulted the male resident while a second black male entered the apartment. The second male was described as being younger with a thin build wearing an orange shirt. Then, the second male assaulted the caller as she descended the stairs. Before fleeing on foot, the younger male reportedly threatened both victims that he would shoot them if they called the police. It was initially reported that a weapon was shown. It was later discovered that the weapon was not produced. However, the threat of a weapon was mentioned. The actors were unsuccessful in stealing any property from the residence. Immediate details were limited. The Pleasantville police department assisted by sending several patrol units to include two K9 units. A K9 track was conducted, but yielded negative results. All vehicles attempting to leave the complex were stopped and the occupants were identified. The case is under investigation. Anyone with any information is asked to contact the Absecon Police Department at (609) 641-0667 or crime stoppers at (609) 652-1234.